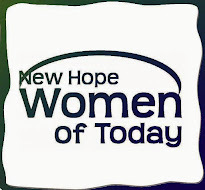 New Hope Women of Today: MNWT Online Clothing Store! The MNWT online clothing store is now open again until May 26th. There are 11 different clothing items and a very nice logo bag. You select the item you want and then choose the size and color. All items are women's sizing except for the Adult Poly T-shirt (men's sizing). When you are done shopping, you check the box for shipping ($5 fee) and enter your address. You can make your payment through PayPal or with any credit card. It's quick and easy! Simply click on the following link to go directly to the store: http://www.rallygear.net/store/c87/MN_Wo men_of_Today.html Thanks so much for shopping with MN Women of Today! !